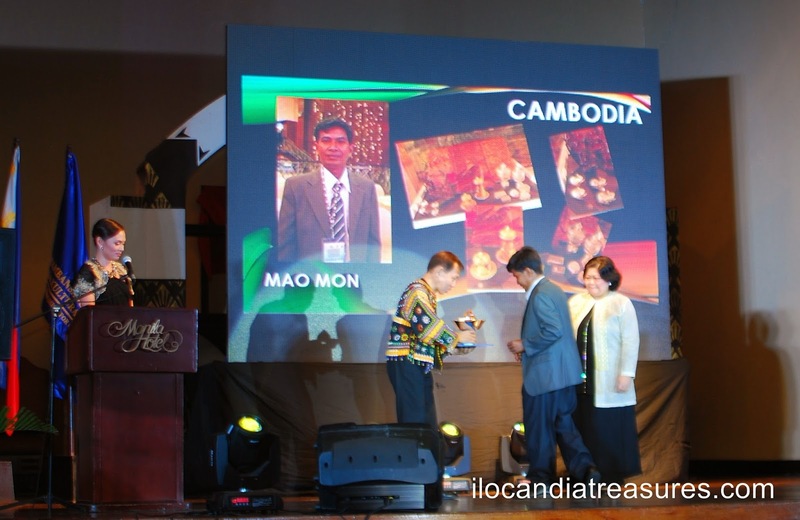 The Asia Cooperation Dialogue in collaboration with the Philippine Government through the National Commission for Culture and the Arts (NCCA) and the Department of Foreign Affairs held the First Ceremony for the Commemoration of the Asian Living Human Treasures at the Manila Hotel on May 20-21, 2014. 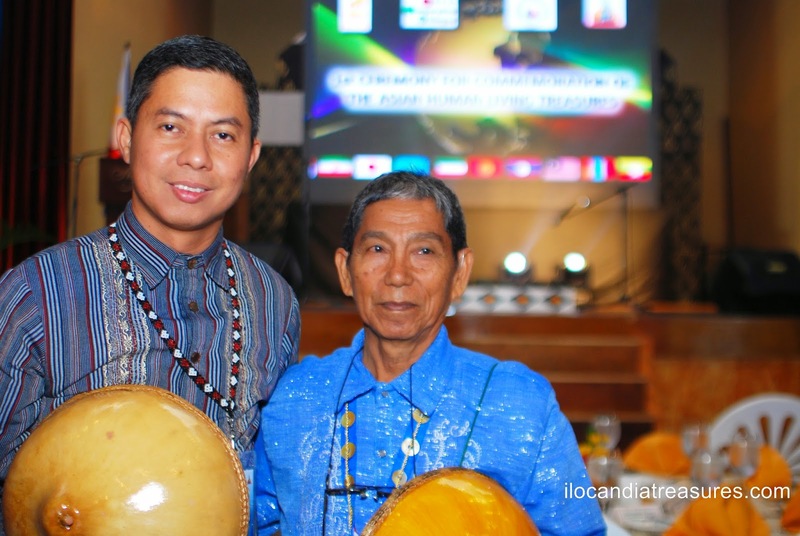 On day 1, opening ritual was performed by the members of the T’boli community of Lake Sebu of South Cotabatao then opening remarks was given by NCCA Chairman Felipe De Leon, Jr., a message by DFA Undersecretary Laura del Rosario and a keynote speech by Senator Loren Legarda. 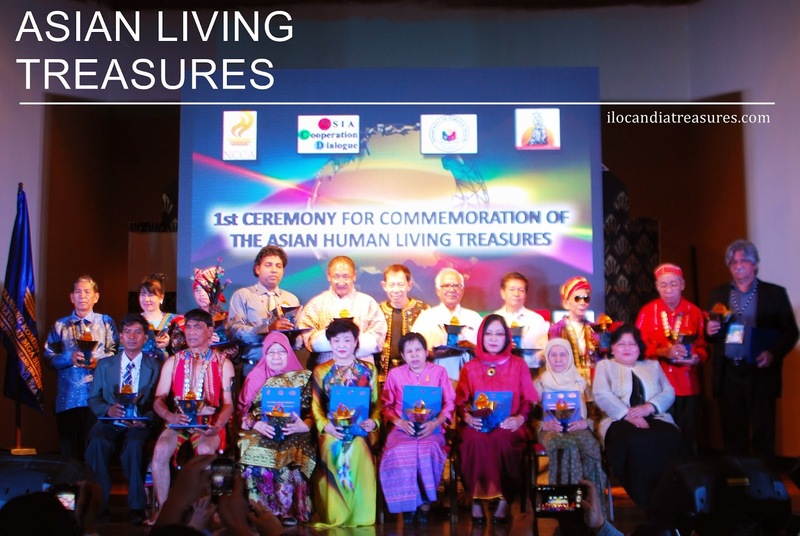 After the formal opening program, the exhibition of artworks of the Asian Living Human Treasures was opened to the public by Senator Legarda. 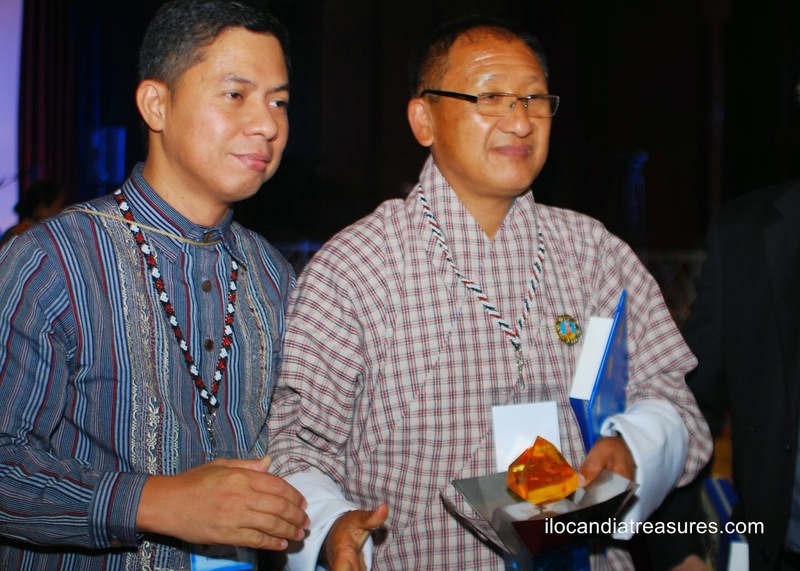 A conference and forum was held in the afternoon citing the initiatives of the government to recognize traditional artists and conserve indigenous cultures & traditional crafts on the presentations of Chairman De Leon and Dr. Jesus Peralta. Thailand’s efforts in the preservation and promotion of traditional crafts was presented by Dr. Supanee Chayabutra while Indonesia’s initiatives was presented by Ms. Lucky Wijayanti. 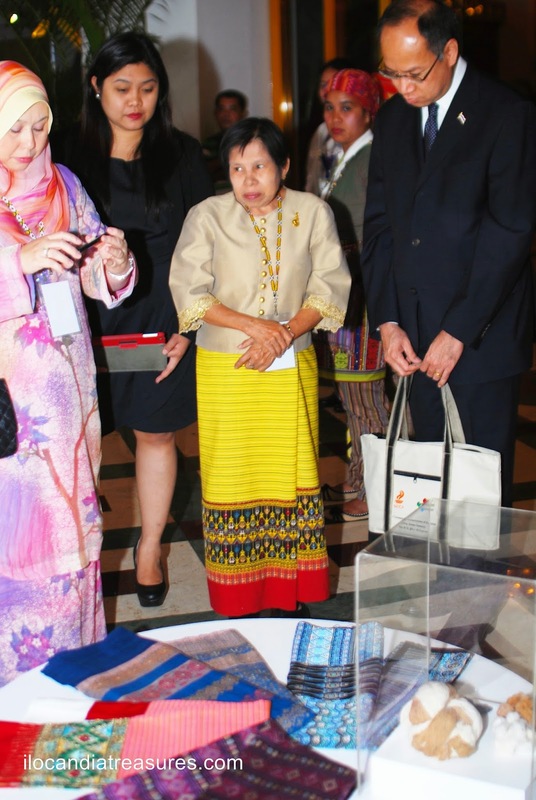 Ms. Hajahkadariahbinti Begawan Pehinudanakhatibdato Seri Paduka Haji Umar of Brunei is a maker of handwoven silk. Mr. Mao Mon from Cambodia is a sculptor who uses wood stone. He exhibited Apsara (Goddess of Beauty) made of kraghouhg wood. 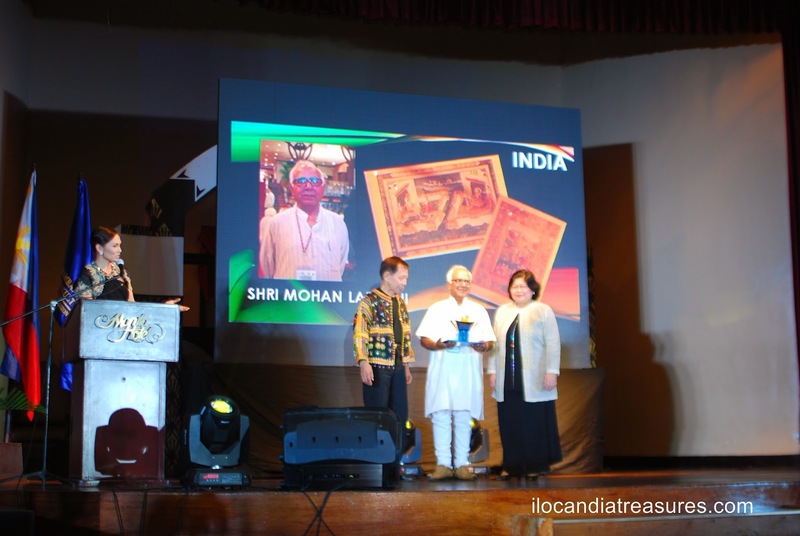 Mr. Mohan Lal Soni of India who is a master painter. He exhibited Mughal painting which is an Indian painting style. 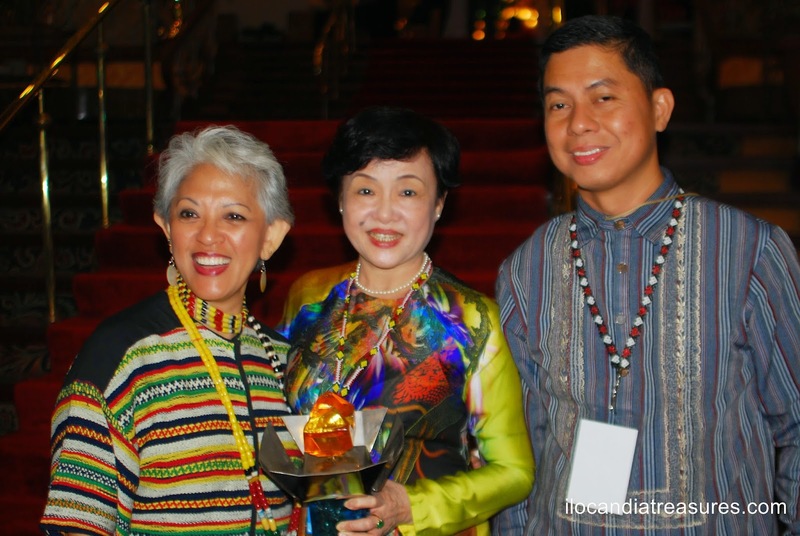 Ms. Lucky Wijayanti of Indonesia who exhibited her artworks batik stamps and toraja ornaments which is a motif or pattern from a traditional architecture. Mr. Mostafa Akhavass of Iran who is a master in Persian miniature, traditional drawing & gilding. 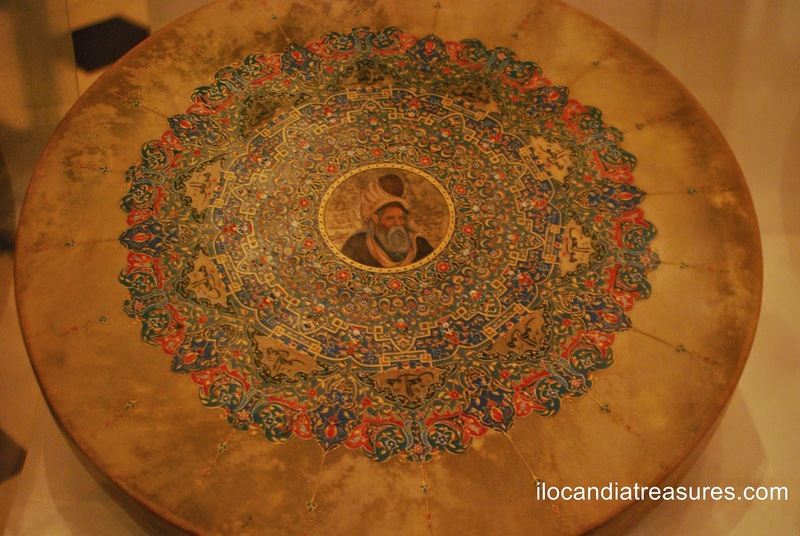 He exhibited his artwork traditional musical instrument and cane reed flute with Iranian traditional design burned into its surface. Ms. Kongthong Nanthavongdouangsy of Laos is a master weaver. 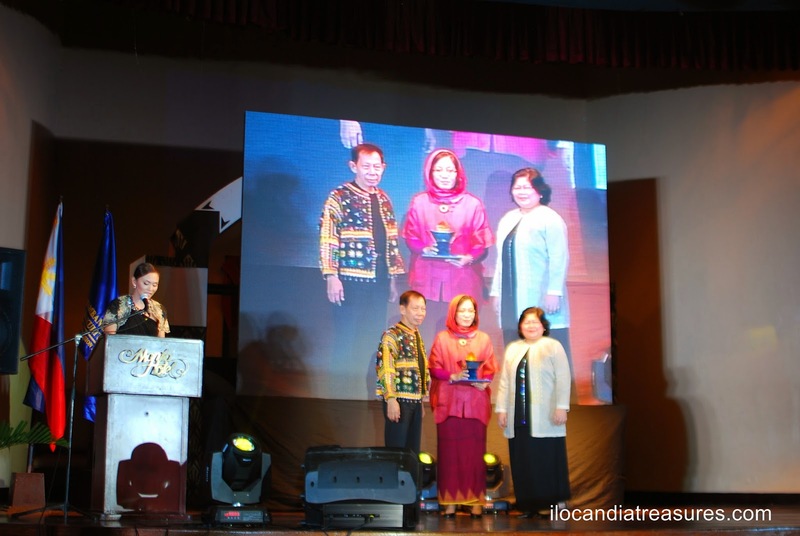 She received the UNESCO Craft Prize on Textiles in Southeast Asia. She exhibited textile for wedding outfit and door curtain. 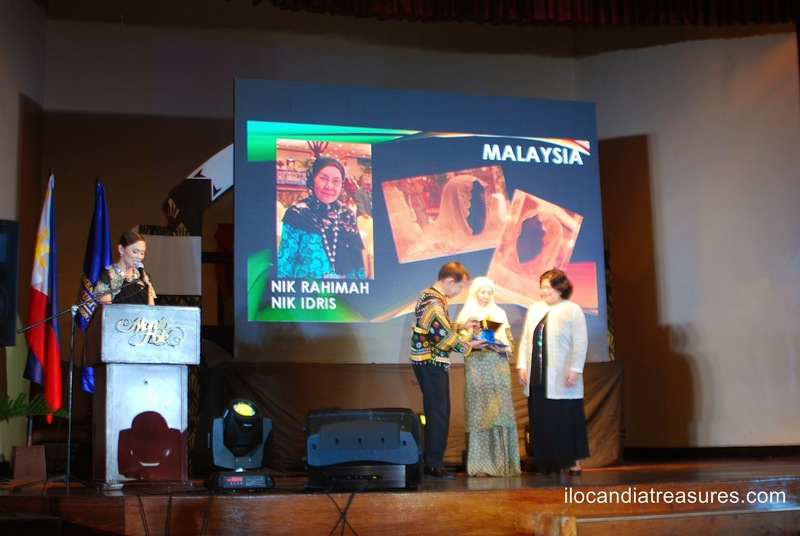 Ms. Puan Hajah Nik Rahimah Binti Idris of Malaysia is known for her fine gilt strip embroidery or Sulaman kelingkam. 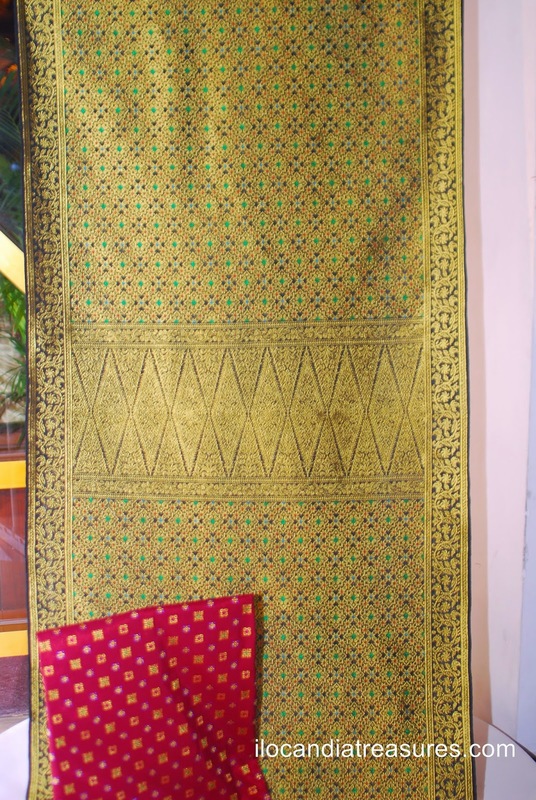 Her artworks exhibited at the ceremony were the shawl (selendang) and veil (tudong) with gilt strip embroidery. Mr. J.A.D.G.D. 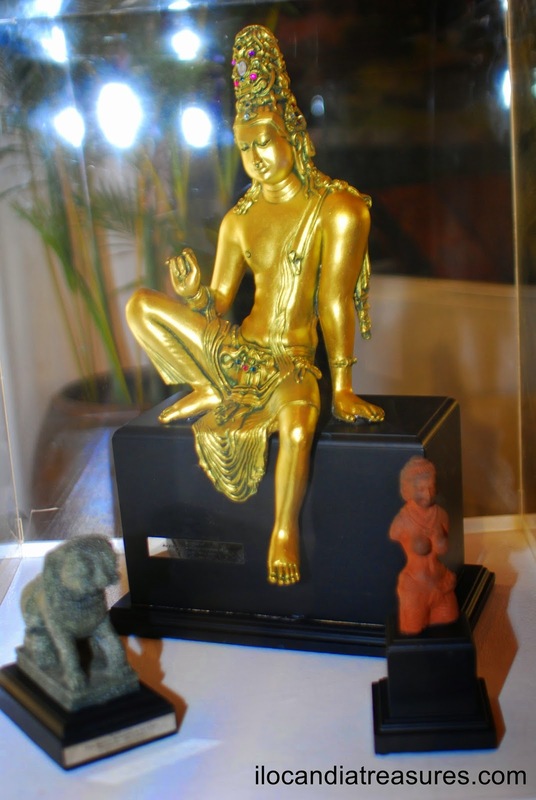 Jayasing of Sri Lanka is a replica designer and he exhibited the replica of Avalokitheshvara Bodhisatva statue, vehergala & replica of Apsara & stone sculpture lion. 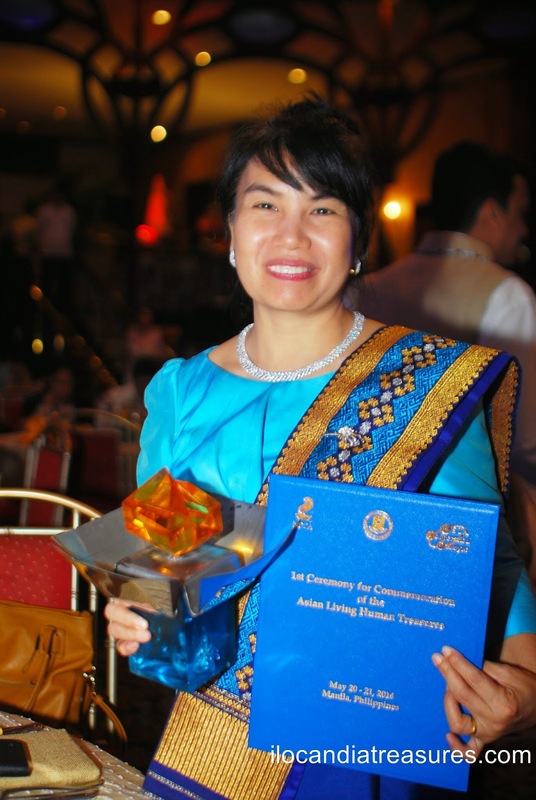 Ms. Pranom Thapaeng of Thailand is a National Artist in the field of Visual Arts (Fine Arts – Art of Woven Frabric). She exhibited full chock cloth with multi-patterns, and silk cloth with ten ancient Chok parrterns, natural indigo dyeing. Ms. Hanh Mai Nguyen of Vietnam is a maker of silk flowers. She exhibited her artworks lotus and rose-mallow. 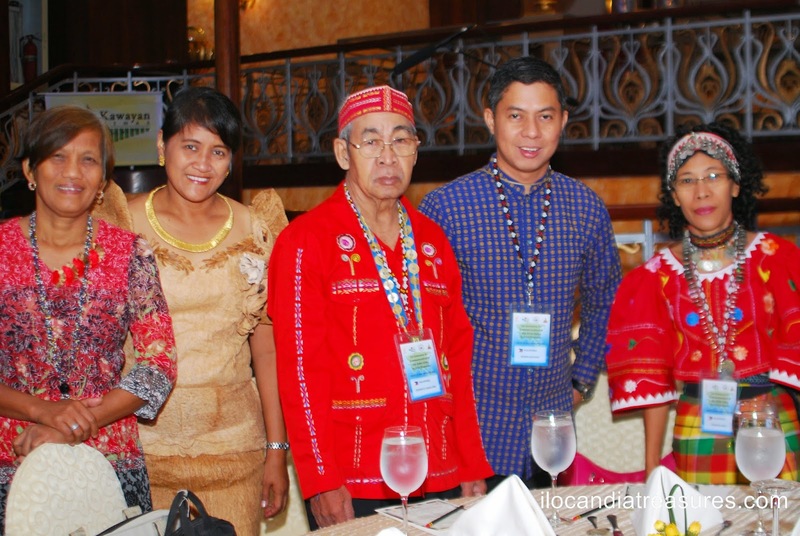 And from the Philippines: Mr. Uwang Ahadas, Yakan musician from Basilan; Mr. Federico Caballero, master epic chanter of the Sulod-Bukidnon from Calinog Iloilo; Ms. Lang Dulay, T’boli master textile weaver from Lake Sebu of South Cotabato; Ms. Magdalena Gamayo, master abel weaver from Pinili, Ilocos Norte; Mr. Teofilo Garcia, maker of gourd casque or kattukong from San Quintin Abra; Mr. Eduardo Mutuc, Kapampangan metalsmith from Apalit Pampanga; and Mr. Alonzo Saclag, Kalinga musician and dancer from Lubuagan, Kalinga. 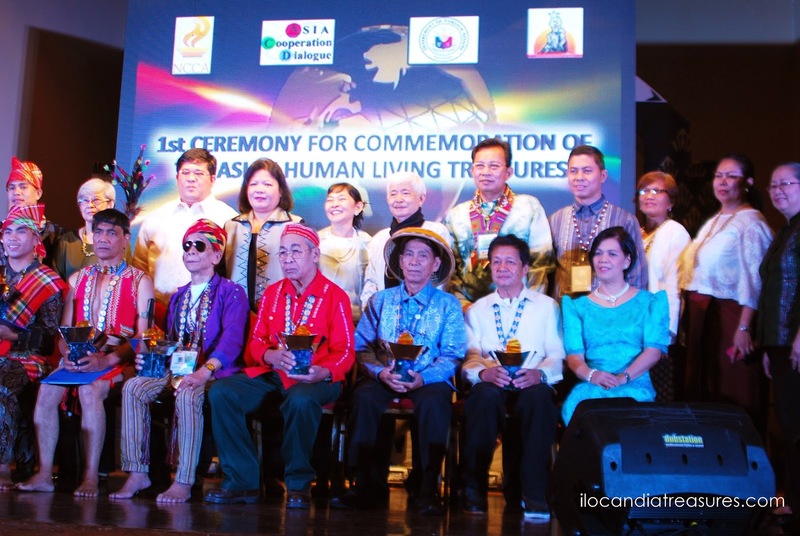 They were given each the Alab trophy sculpted by Rosario Bitanga. The sculptural piece is constructed out of semi-polished steel plate, light blue resin base and a yellow resin finial. It symbolizes a torch held by the guardians of culture.